For customers in Kenya, Mshonaji provides convenient access to tailors better than word of mouth over a web-based platform. Tailoring is a source of income for approximately 75,000 tailors in Kenya, but they lack an effective means of marketing their services to new clientele. Tailors typically rely on word of mouth references, which is a limited approach that results in low customer numbers and minimal income. 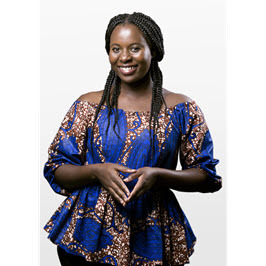 Mshonaji’s platform connects tailors to an expanded base of customers through reviews, an e-commerce portal, and sophisticated profile and search functions. A cheaper alternative to an individual website, the platform will offer a digital workspace that enables tailors to showcase their past creations and market their specialties.